ZF CEO Stefan Sommer: Entering global competition open to only a very few companies. TRW's emergency steering assist system automatically steers a vehicle to avoid a collision with another vehicle or a pedestrian. The era of autonomous vehicles is close at hand -- and is already changing the industry in fundamental ways. The latest and biggest example? Last week, ZF Friedrichshafen announced it would acquire TRW Automotive for $13.5 billion, one of the largest supplier acquisitions in history. With carmakers working furiously to develop driverless vehicles, the suppliers that can produce the needed technology are starting to look like a very exclusive -- and powerful -- club. Bosch, Continental and Denso were poised to dominate the market, but now ZF-TRW has joined them. The German supplier said the deal gives it a niche in the fast-growing market for collision-avoidance technology. Only a handful of megasuppliers can afford such technology, and they aren't likely to be bossed around by penny-pinching automakers. Indeed, the speed at which it's all happening -- and the growth potential -- is putting these elite parts makers in the driver's seat. 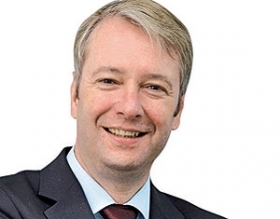 "There is a race among the automakers to be first to market with automated highway driving," said Andy Whydell, TRW's head of product planning for global electronics. How big will that market be? IHS Automotive, a suburban Detroit consulting firm, published a report last week that estimated global sales of autonomous vehicles would top 21 million units a year by 2030. With TRW's expertise, ZF expects to win a sizable chunk of that market. "This is a big opportunity for us," said ZF CEO Stefan Sommer during a briefing on Sept. 19, in suburban Detroit. "We are playing in a new league here. This opens markets for us in a worldwide competition among two or three companies." Last year, for example, TRW and ZF spent a combined $2.1 billion on r&d. Those expenditures supported TRW's portfolio of cameras, radar, electric power steering and electronic brakes -- key components for collision avoidance -- while ZF invested heavily in new transmissions and drivetrains. TRW CEO John Plant believes the sheer cost of r&d will deter smaller competitors from jumping into collision avoidance. "The barriers to entry are so high that it is very tough for small players to afford it and take the time to develop it," said Plant, who attended the briefing with Sommer. "It's a select few that will be able to afford it in the future." Despite the cost of r&d, collision-avoidance technology could prove to be profitable even if automakers never sell a single Google-style driverless car. That's because automakers are adding low-speed collision-avoidance technology to mainstream vehicles as well as luxury cars. TRW's revenue from collision-avoidance componentry should top $800 million by 2018, according to Plant. How big will the market for autonomous vehicles grow? During the next two years or so, automakers will introduce autonomous vehicles capable of accelerating, braking and changing lanes on the highway. Annual global sales of these so-called Level 3 autonomous vehicles are expected to total 900,000 units by 2020 and 14 million by 2030, according to the IHS forecast. More sophisticated driverless vehicles are expected to be available, too, which would raise overall sales of autonomous vehicles to an estimated 21 million units by 2030. 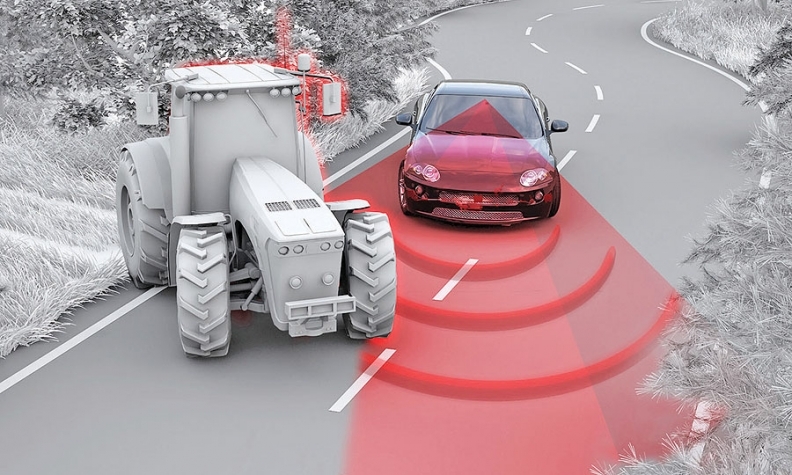 But even if the more sophisticated technology never gets to market, suppliers can make money on basic collision-avoidance technology. Which is exactly what TRW plans to do. The company has designed a new radar unit -- dubbed AC 1000 -- that can be paired with a camera to equip a vehicle that would accelerate, brake and steer itself under normal highway conditions. TRW has production contracts to manufacture key portions of its driverless technology in 2016, said Whydell. Whydell did not name TRW's customer, but he hinted that European automakers are eager to roll out the new technology. "You'll see launches of this type of technology from more than one vehicle manufacturer," Whydell said. There are some limitations on TRW's technology. It's intended for normal daytime highway driving, and the vehicle would not be designed to change lanes. But Whydell noted that TRW is developing a more sophisticated unit that could change lanes automatically to avoid colliding with another vehicle or pedestrian. Such vehicles would be equipped with four radar units and four cameras to provide a 360-degree view of road conditions. Whydell said TRW is working on that technology with a number of customers, and he expects lane-changing vehicles will debut from 2016 through 2018. These developments are enough to make Sommer and Plant optimistic about near-term prospects for the ZF-TRW merger. "I think the sales growth is going to be there, even if we don't have a fully autonomous car," Plant said. "There is tremendous growth in this area."